When Tantrum Desire dropped the multi-dimensional “Diversified” LP in 2015, it seemed that we must have finally witnessed every facet of his sound. We’d seen the epic orchestration, the soulful depths, the gut-wrenching nastiness, and the straight up dance-bubblers. But then there were remixes, which took things even further. And now, somehow, there’s a new EP which twists the TD style into yet more configurations, and this release gives us a glimpse. 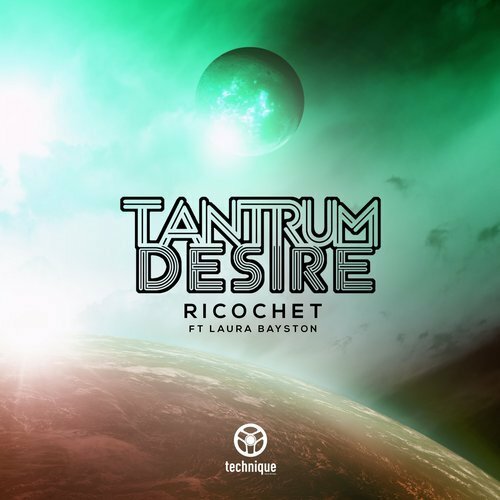 “Ricochet” features the vocals of Laura Bayston, who last linked with Tantrum Desire on the big-room thunderclap of their track “Underground”. Once again, she delivers a soaring, emotive performance that draws us into the music over trip-hoppy atmospheric vibes and a hands-in-the-air chord sequence. And then, under-pinning it all, is a subtle arpeggio, which guides us through the harmonic changes and pulls us upwards until we’re dropped into a sea of bass. That bassline wraps around the tune enveloping it with warmth and power, while a typically-tough Tantrum Desire beat lays out the rhythm for the ravers. That arpeggio moves through the mix, taking us further on the journey into the sound, until extra layers of melody bring the vocal back around again. This is late night, float-away-on-a-cloud music, that will keep dancefloors deep in its thrall. Bear in mind, this is just one track cut from Tantrum Desire’s “Horizons” EP, but, even by itself, it leaves no doubt that we’re listening to the product of assured mastery. To create the balance between banger and beauty is something not every producer is capable of, but it’s intrinsic to the skyscraper-large TD sound. And you already know the rest of the EP will have even more to reveal.